Looking for an objective review of the new Honda Civic Hatchback? OSV has got you covered, from engines to lease deals. The new Honda Civic Hatchback looks a bit different to the more conventionally-styled hatchback’s in this sector. It comes with an excellent track record of reliability, and makes a strong alternative to the usual suspects in this market – the Ford Focus et cetera. Over the years, the Civic has cultivated a reputation for being affordable and dependable. It’s a wholesome family car you can rely on to get you guys from A to B without any hassle, and it’s always been a joy to ride in. In 2016, it continues to do what it’s always done best. This means that making your mind up over which hatchback to buy is going to be tricky! OSV takes a closer look at what it’s all about with our Honda Civic Hatchback review. If there was one criticism we had of the outgoing Civic, it was that it wasn’t as comfortable as we’d have liked. 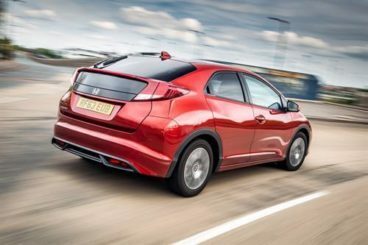 Honda have addressed that issue for this new model, and thanks to a fluid-filled rear suspension, the new Civic can boast about being almost as comfy as the VW Golf. The smooth electric power steering system is a highlight, although at high speeds it lacks feel. There is scarcely any body lean in bends, which makes it a fairly entertaining car to drive around in. The engine range kicks off with a 1.6-litre diesel unit that is our highlight. It’s both performative and economical, and can get you from a standstill to 62mph in 10.5 seconds – though it actually feels even quicker. It maxes out at 129mph, but the truth is that it’s at its best around the 70mph mark when you’re out on the motorway. Be careful at lower revs, though – the engine stalls easily. The 1.8-litre petrol engine is a decent bet. It does 0-62 in 9.1 seconds, which makes it significantly quicker on paper than the diesel. The reality, though, is that it doesn’t actually feel so much quicker. It will also cost you more to run. For a cheaper petrol engine, there is the 1.4-litre unit that does 0-62,mph in a rather plodding 13.4 seconds. If you want to overtake on a stretch of A-road, you will need to do some calculations beforehand! The Civic Sport might boast a sexier name, but it can’t offer any more power – it just looks better. For the pure pace and power, the thunderous Civc Type R is worth looking at. It can deliver up to 302bhp, which is enough to rocket you from rest to 62mph in 5.7 seconds. Without a doubt, the car with the best interior in this class is the Volkswagen Golf. With that said, the Civic’s isn’t far off – it’s better than most rivals. Build quality is excellent, the dash is more eye-catching than even the Golf’s, and the seats are more supportive and comfortable than ever. The cabin is also quiet, with the car’s aerodynamic shape doing a good job of keeping external noise to a minimum. The futuristic-looking dash is easy to use, while the brand have used plenty of soft-touch plastics to give the interior an upmarket feel. You’ll also be able to make use of the Android MirrorLink system, which is fast becoming a regular feature in modern cars. The new Honda Civic Hatchback is very practical. Access is easy, thanks to rear doors which open at a ninety-degree angle. The brand’s Magic Seats are worth mentioning – they flip-up as part of a creative seat-folding system. More innovations include a reposition fuel tank. By placing it under the floor in the middle of the Civic, they have managed to increase the size of the boot to 487-litres. This means you get 100-litres more luggage space than in the VW Golf. The boot also hides a rather big storage area under its floor for even more space. However, a protruding lip makes it difficult to load your items. There are plenty of cubbyholes dotted in and around the cabin, though headroom is restricted in the back thanks to a sloping roofline. Standard equipment is decent. If you opt for the Sport trim you’ll get some neat black alloys, a more aggressive body kit, and tinted electric windows. The SP Plus Navi model comes with rear and front parking sensors, and an upgraded Connect infotainment system, while the SR model adds heated front seats, a panoramic glass sunroof, and a full leather interior. There are a few interesting bits and bobs on the list of optional extras. You might fancy adding side skirts for £465, a cooler fuel filler cap for £100, and a rear diffuser for an extra £375. Rear parking sensors are also an optional extra, but at £535 they seem a bit expensive. Prices for the new car start out from £18,400 and rise to £24,500. For more information on our leasing deals, you can check out our page here. In terms of running costs, the car does very well. There may only be three engines to choose from, but they’re all modern and economical. The 1.6-litre diesel is our favourite, and it’s likely to be the most popular with buyers, thanks to good performance and frugality. It can achieve fuel economy returns of 78.5mpg, and doesn’t cost anything to tax. The 1.8-litre engine is a bit older and is good for returns of 45.6mpg, which makes it a bit less attractive, while the 1.4-litre model is goo for 52.3mpg at best. Road tax, meanwhile, will set you back £110 a year. The basic Honda Civic is super cheap to insure and occupies insurance group five, while the most expensive sits in group 16. These ratings are competitive. The listing price is reasonable, and it’s hard to complain at the amount of standard equipment on offer. The 1.6-litre diesel engine might be the most expensive to buy and insure, but it’s a modern engine that is smooth and cheap to keep on the road. This is one of the sharpest looking hatchback’s in the class. Assertive and dynamic. The 1.4-litre engine is cheap enough to buy, but we suggest you either splash the cash on the diesel or look elsewhere. It just isn’t as involving as some rivals, such as the VW Golf. Let’s see how the car fares against its rivals in the comparison section of our Honda Civic Hatchback review. As ever, the Ford Focus Hatchback is fun to drive. It’s also got plenty of new technology – but a real lack of practicality lets it down somewhat. The Focus has got bags of drivability. It might have lost some of its sharpness now that it’s in its third generation, but it still handles better than any other car of this type. It corners well, and is super responsive. The engines contribute to how the car drives. You’d need to overlook the basic 1.6-litre 83bhp petrol engine if you want the best possible experience, but beyond that there are some seriously good engines on offer here. We like the 1.0-litre EcoBoost engine that delivers up to 123bhp and can get you from rest to 62mph n 11.0 seconds. It’s not the quickest, but it offers a good amount of mid-range power. 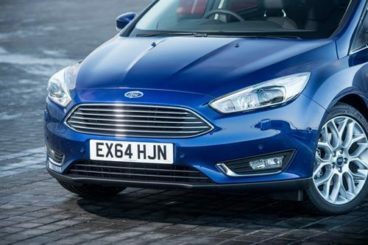 The ST-Line model is a good choice and can be paired up with a cracking 1.5-litre EcoBoost petrol engine. It’s quick, lively and powerful. There are a number of diesel engines to choose from too, including a pair of 1.5-litre TDCi units (94 and 118), as well as a very satisfying 2.0-litre TDCi 182bhp unit that you can only get with the ST. 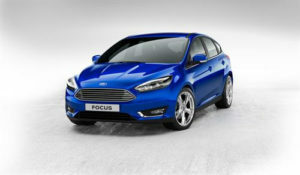 Dated engines last time around meant that the second generation Focus Hatchback was more expensive to run than rivals. But Ford have added energy-saving technology and updated their engine line-up this time around so that their flagship family car is more affordable. Check out the 1.5-litre TDCi diesel – fuel economy returns of 74.3mpg aren’t to be argued with. It’s also free to tax. Inside, the Focus is comfortable enough, and we like the padded seats. Go for a pricier trim, and you get treated to heated leather seats that are just the ticket in the winter. The driver’s seat and steering wheel are not fully adjustable, but there is a good amount of adjustment on offer. The dash is free from button clutter, and most of the plastics are of good quality. Most, but not all. The grey environment is slightly drab, but you can brighten the cabin by opting for the silver trim. This is not the most practical car on the market. It’s easy enough to park, but there are many weak points. These include a 316-litre boot that is far from class-leading, a small middle seat, small windows, poor cabin storage and poor visibility. 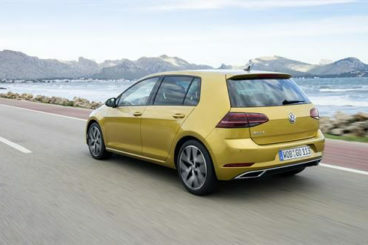 The new Volkswagen Golf Hatchback is an automotive legend. It’s been around for decades, and is one of those cars families always check out before making their decision. The VW Golf is as fun to drive as ever, but just falls behind the Focus in terms of out-and-out enjoyment. It is, however, much more involving than the Civic. The steering is accurate, and all the engines are reasonable performers. f you’re a high-mileage driver, it’s probably a good idea to overlook the basic 1.2-litre TSI petrol engine. Apart from that, none of the engines in the range will disappoint you. A 1.0-litre BlueMotion engine is a particular highlight; it’s nice and smooth and refined, and can get you from a standstill to 62mph in 9.7 seconds. The diesels are also good performers. 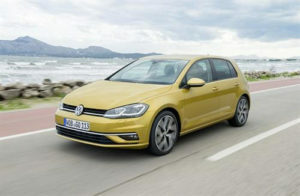 The 2.0-litre 148bhp unit is fast and agile, though the more efficient 1.6-litre TDI is more than satisfactory. Pair it up with the manual gearbox, and it’s got an officially recorded fuel economy figure of 83.1mph. It’s also free from road tax. The 1.0-litre BlueMotion petrol engine is cheap to run too, and can achieve fuel returns of 65.7mpg while also costing nothing to tax. The most frugal engine in the range, though, is a hybrid model which can boast fuel economy returns of 166mpg. The Golf’s interior is comfortable and quiet, which makes it a pleasant place to be. 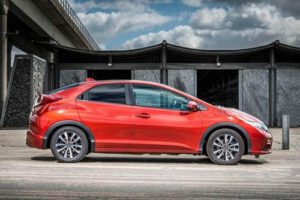 It’s also a classy cabin that features a driver-focused wraparound dash and lots of high-quality plastics that are largely missing from the Civic. It may only be a family car, but there is a real sense of occasion inside here. The metal-effect trim is evidence of this. It’s also a more practical car, too. The boot now measures 380-litres with the rear seats up and 1,270 with them folded down. Loading in awkward items this time around is ease thanks to a smoother step between the folded rear seat and boot floor, and you also benefit from a false boot floor. Interior space is just fine, and in fact is better than last time. Leg and headroom is good up front and in the back. while storage spaces include a huge cooled glove box and a pair of cup holders up top. The new Civic is a big improvement on the outgoing model. It’s better inside and out, and it also offers a sharper driving experience. If the Honda Civic Hatchback has been absent from your shortlist of family hatches recently, it’s time to put it back on.